Your hands will thank you for treating them so well. 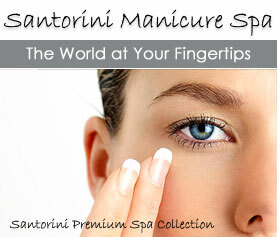 Spa manicures moisturize and massage your hands and arms leaving them revitalized and much softer. Have your nails trimmed, shaped and polished to your liking. A classic manicure to reshape the nail to soak and nurture the cuticles massage essential oils for moisture into the hand and arm finished with the perfect polish of your choice from our Santorini Premium Spa Collection. Special hand treatment with magic honey. A natural exfoliate to restore skin to a more youthful appearance, then massaged leaving the skin radiant and glowing. The ultimate treat for the feet! 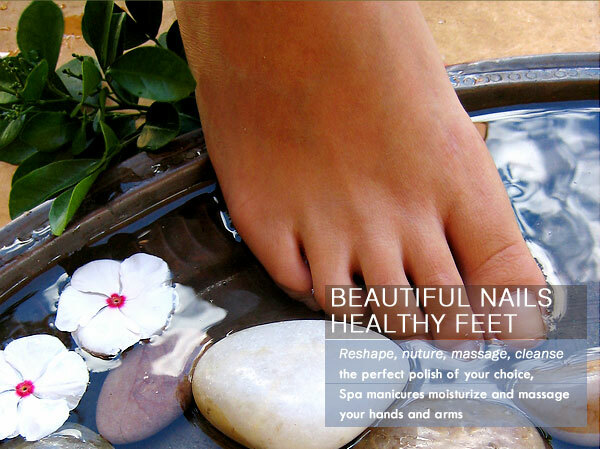 A pedicure can be a wonderful form of pampering that lifts your spirits and soothes your aching feet simultaneously. Using a combination of water jets and hand massages, your feet and legs are treated to a wonderful relaxation technique. Soak your feet in warm water scented with bath salts and oils while you stretch out in a comfy chair and kick up your heels, literally – leaving them in the adept hands of our technicians. The only thing you have to think about – choosing your color! The nail polish is the finishing touch. A Pedicure to reshape the nails and cuticles then soak and exfoliate to remove dry and cracked heels. Next a pampering foot and calf massage with essential oils to moisturize soothe and polish the skin to finish your foot facial a perfect nail polish selected from our colourful collection.